Lovely post…..my Dad was as snug as a bug when I went round, he just didn’t hear the phone. 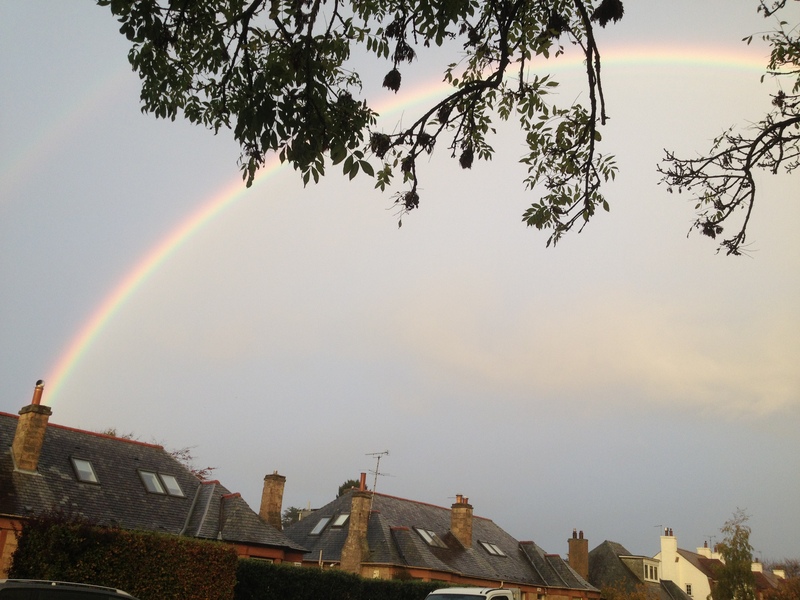 Eilidh has the full arch of the rainbow picture – she ran out into the street to get! Rainbows very symbolic to us as the day after we found out about Iain’s affair, Eilidh painted a rainbow which now hangs on my bedroom wall. It reminds me of a heartbreaking phase of my life but Eilidh’s picture gave me hope. When I got home and I saw her photo of the rainbow it made me reflect how far I have come in 7 years. I am still standing and i am in a much better place. I have a lovely life, great friends and amazing family.